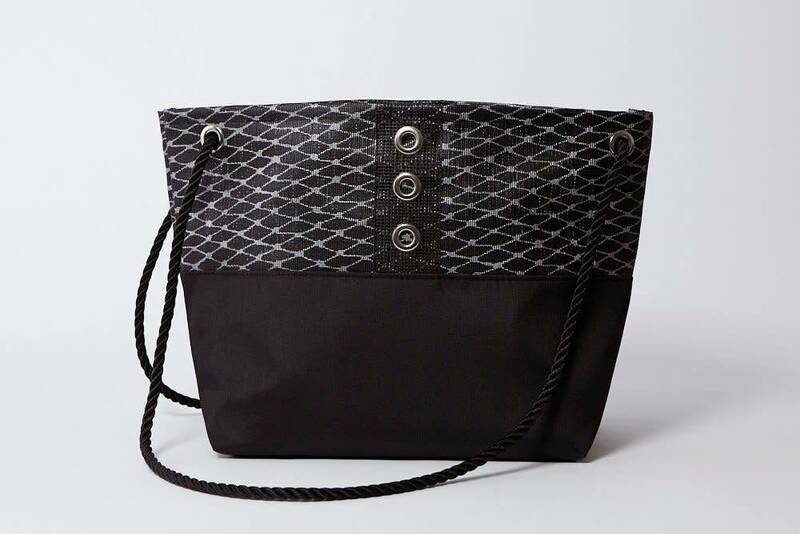 Inspired by a lobsterman's bait bag, this tote was created using the same marine grade material and is the perfect size for daily use. Whether it's your work bag or beach bag, it's ready for wherever life takes you. Hand printed and sewn in Maine. Braided rope handles in black.